Officially the 1943 murder of anti-Fascist, anti-Communist editor Carlo Tresca on New York's Fifth Avenue remains unsolved. Yet everyone in the Mafia and New York police knew who ordered the murder and who pulled the trigger. It was a Mafia operation all the way. 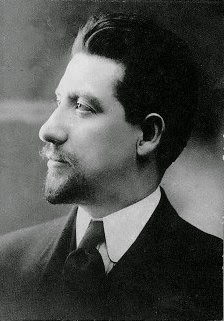 Carlo Tresca was the editor of Il Martello and had known Benito Mussolini since 1904 when the latter was in his short-lived leftist youth. Now in exile in America Tresca was an implacable foe and caustic critic of Mussolini. In 1943, in wartime New York City, Carlo Tresca had little to fear from the Fascist dictator. Unfortunately for the 68-year-old syndicalist, Vito Genovese, who had fled to Italy before the war to avoid a murder charge, was now close to Mussolini. He was a big-money contributor to the Fascist cause and further ingratiated himself with Il Duce's son-in-law and foreign minister, Count Galeazzo Ciano, by keeping him supplied with narcotics. When Mussolini raged about Carlo Tresca, "Genovese's countryman," for constantly attacking him, the gangster sought to ingratiate himself all the more by promising to have Tresca taken care of. Genovese got the contract back to New York to his aides Mike Miranda and Tony Bender who passed it on to a then minor Brooklyn hoodlum named Carmine Galante, who would in the 1970s rise to become the boss of the Bonanno Family. On the evening of January 11, 1943, Carlo Tresca was walking on Fifth Avenue near 15th Street with a friend, attorney Giuseppe Calabi, also a political exile from Italy. As they crossed 15th Street on the west side of the avenue, it was quite dark since the wartime dimout was in effect. The men paid no particular attention to a figure standing on the corner. As they approached him, the loiterer reached in his pocket. He came up with a .38-caliber pistol and started shooting. One bullet crashed through Tresca's right cheek and lodged at the base of his skull. Another hit him in the back and lodged in his left lung. Tresca died in the gutter where he fell. The killer escaped by car. Calabi and other witnesses were able to record the license number: 1C-9272. That number meant something to the law. About two hours before the killing, Galante, out of prison on parole, had made his weekly report to his parole officer in downtown Manhattan. It was standard procedure for parole officers to trail parolees out of the office in the hope of seeing them consorting with other criminals, a violation of the terms of their release. Galante had entered a car and driven off. A parole officer had not tried to follow Galante but had recorded the license number of the car: 1C-9272. Picked up as a suspect in the Carlo Tresca assassination, Galante denied all. He had not gotten in any car. He'd gone uptown by subway and seen a Broadway movie, Casablanca, with Humphrey Bogart. Questioned about the plot of the film, Galante was remarkably and suspiciously vague. He did not appear to even remember the phrase, "You must remember this...." It was suspicious but hardly an indictable offense, especially since none of the witnesses to the murder could identify the killer because of the dimout. Galante had to be released, and when Genovese returned to the United States after the war, he had nothing to fear from any further investigation of the Carlo Tresca assassination. Police kept Galante under a phone tap for four and a half years, hoping he would make some slip about the case. A police detective who worked on the investigation later recalled, "He was real cagey, that guy. Someone would call him and say, 'Hello,' and all he'd say back was 'Humm' and the other guy would say 'Meet you at 1 P.M.,' and he would say 'Humm.' That's all he ever said on the phone."